Copyright: The copyrights of submitted images remain with you. The submitted images can only be used in relation to the Red Bull Illume contest. Red Bull Illume is the world’s premier international photography competition dedicated to the world of action and adventure sports. Its purpose is to showcase the most exciting and creative action sports photography on the planet as art and bring the public into the world of action sports. 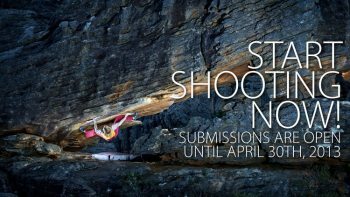 Only action and adventure sports images and images that capture the culture and lifestyle surrounding these sports may be submitted. A panel of about 50 esteemed photo editors from international top publications will judge the 250 semi-finalists. lifestyle – Images that visually capture the creativity of the lifestyle, music and culture that surrounds action and freesports, or represents what happens before, between, and after the action. playground – Images that showcase the landscapes, locations, platforms, and environments in which athletes play. energy – Images that demonstrate the force that powers an action and show the energy, speed and strength required for an athlete to perform. spirit – Images that portray the spirit or personality that athletic performances produce, as well as the pain, emotion and struggles that go along with trying to achieve one’s goals, whether due to injury, failure or simply being in the wrong place at the wrong time. close up – Images that show extreme detail of one or more aspects of an athletic feat: a tight shot of the action, the equipment, the body, the face, etc. wings – Images that capture the point in a performance in which the athlete jumps, catches air, free falls, soars. sequence – Images that tell the whole story in a single frame and capture the progression of an action at every stage. new creativity – Images that reveal a unique angle, a visual idea, a different format, light and flash effects… something never seen before! It’s the purely creative image without digital alterations. experimental – Images that have been enhanced digitally or in the darkroom through alterations made in the production or digital editing process. illumination – Images that illuminate your artistic skill, your personal best, your unique style; this is an open category so anything goes – give us your best shot! The overall winner will receive the new Leica S camera, while category winners will each receive a Leica X2. Other prizes will include broncolor’s new Move, their portable flash and the latest strap system from Sun-Sniper. 50 finalist images will travel around the world as a unique and stand-alone photo exhibition. The image with the most votes will win the Peoples’ Choice Award. Photos that have been digitally or otherwise enhanced to change the original impression are only eligible for submission in the Experimental category. Photographers may only enter a maximum of five images per category. Judging criteria: technical superiority, composition, creativity, impact, artistic flair and overall qualities of photographic excellence.